El Centro de Apoyo Escolar (CEA) is a safe space that aims to retain at-risk and vulnerable children in school and improve their academic performance while providing them with recreational activities. The Center provides pedagogical support to approximately 80 children aged five – thirteen in core subject areas such as mathematics, English, language, and science. The children attend CEA either in the morning or the afternoon, depending on their school schedule. The children also receive a nutritional meal and their families have access to CENIT´s student scholarships. The children we work with are at an educational disadvantage to their non-working counterparts because they have fewer sources of support and less time to complete their homework. CEA is important because children often advance to the next grade without learning the necessary material. 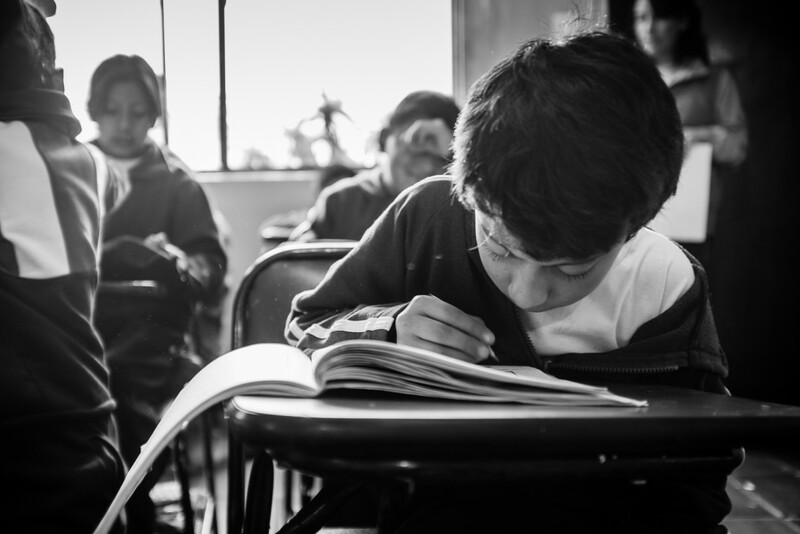 Many of children´s parents are unable to help with homework because of their own limited education. Children rely on the center to successfully finish their homework, overcome knowledge deficits, and stay in school. Additionally, many of the children have learning disabilities, which are diagnosed and addressed by CENIT´s psychologists and social workers. Many working children spend time in the streets begging, consuming drugs, and committing delinquent activities. CEA offers recreational activities in which children can play in a structured and secure environment. This helps to decrease or eliminate their hours of work and prevent them from aimlessly roaming the streets or joining gangs. Learn more about volunteering with CEA here.